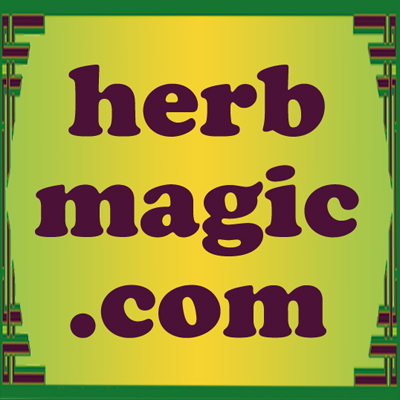 For those who work with natural magical ingredients such as herbs, roots, and seeds a mortar and pestle set is a necessity when making up traditional sachet powders, incense powder compounds, or bath crystals and floor wash. The mortar is the bowl, which is often (but not always) rough or ridged inside. The pestle is the rod-like tool, and it too is generally (but not always) roughened at its wider bottom end, in order to make the work of powdering herbs go faster. Most hoodoo practitioners prefer to have at least two mortar and pestle sets, one for use with edible herbs and the other for toxic or inedible plant matter. On this page are several traditional styles of mortar and pestle. Generally speaking, although any of these mortar and pestle sets, can be used for crushing or for grinding, those with tall and narrow mortar bowl patterns are employed for crushing, while those with short and wide mortar bowl patterns are used for grinding. These pictures are not shown to scale, but the approximate dimensions of the mortar bowl in each of the sets is given in inches. The green marble mortar and pestle is about 4" high by 3 3/4" wide. This an old-time kitchen favourite that finds equal use in preparation of herbs and seeds for the altar. The green marble is veined with black. Crafted from natural stone, no two pieces are alike, but all are beautiful examples of humanity's aesthetics combined with Nature's artistry. 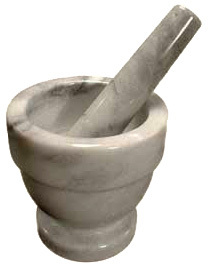 The white marble mortar and pestle is about 3" high by 3" wide. This is another old-time kitchen implement that is perfect for grinding herbs and seeds for magical work. 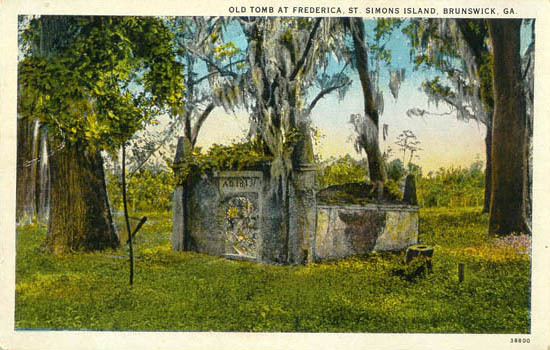 The white marble is veined with grey, and, being natural stone, no two pieces are alike. 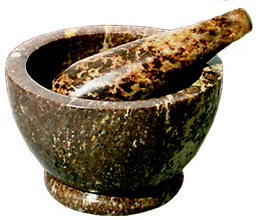 The brown mottled soapstone mortar and pestle is about 3" high by 4" wide. The rounder, wider mortar bowl and the softer stone used in this mortar and pestle set make it suitable for grinding herbs for use in magic spells. The brown soapstone is flecked and mottled with many shades of yellow, ochre, tan, and ivory, which makes it particularly beautiful as an altar tool. Of course, because it is carved of natural stone, no two pieces are alike. 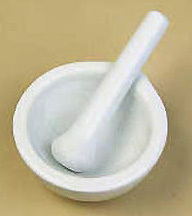 The small porcelain mortar and pestle is about 1 1/2" high by 2 1/2" wide. The wide-mouthed mortar is made of shiny white glazed porcelain with an unglazed and rough interior. The pestle also is glazed, except for its rounded, unglazed, rough end. This is a handy little traditional mortar and pestle set, just the right size for powdering up small batches of herbs and seeds. Porcelain is lead-free and dishwasher safe. Order a Mortar and Pestle Set from the Lucky Mojo Curio Co.